Above 500km will be subsidized with RMB 50,000. China has reached the Top 10 Market Share list for the first time in 2015. The country also overtook the USA in 2015 as the country with the highest EV sales for the year. 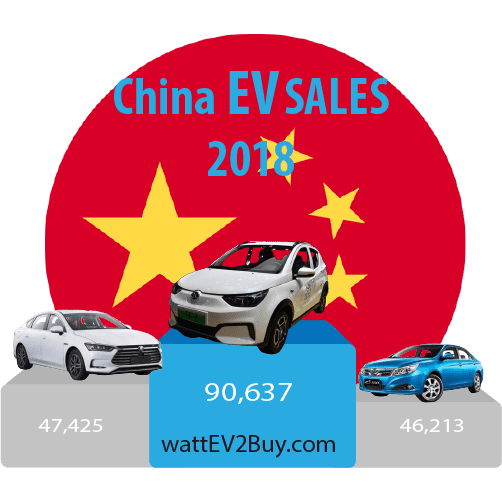 Click through to our detailed breakdown of EV sales in China filled with charts, tables, and insights. We look at the Top EV brands in China, the gainers, the worst performing EVs in China and the battle between BEV and PHEV models. After months of speculation, the Chinese authorities finally set the parameters for the 2019 subsidies for electric vehicles. According to the Chinese Government, it forecast that 1.7 million electric vehicles will be sold in 2019, which is 100,000 units above its previous forecast and half a million more than the 2018 figure. The final 2019 EV subsidy policy cuts were deeper from what was expected by the industry and are between 47% and 60% lower than in 2018. 2020 will be the final year of the Chinese EV subsidy program. Passenger Electric vehicles which are bought for business use now qualify for 70% o the subsidy amount, compared to 50% previously which is soon as a boon for the ride-hailing industry. To qualify EVs are also required to have traveled 20,000-kilometer within 2 years from the date of registration if not the subsidy will be recouped at the date of sale. The measure was brought in to combat subsidy fraud. 1. The maximum speed is not less than 100km/h over a 30 minute period. 2. To qualify for subsidies as a pure electric vehicle it needs to achieve a range of no less than 250 km (156 miles) and for plug-in hybrid vehicles no less than 80 km (50 miles). 3. The energy density of the battery of an electric car must be more than 125Wh/kg. EVs with an energy density up to 140Wh/kg only qualifies 80% of the subsidy and up to 160Wh/kg 90%, while any figure above 160kWh/kg qualifies for double the subsidy amount. 4. The energy consumption of the EV must be 0.8 times higher than the “Notice on Adjusting and Perfecting the Financial Subsidy Policy for the Promotion and Application of New Energy Vehicles” (Cai Jian  No. 18). The Chinese authorities are busy revising its EV subsidy policy for 2019 and based on feedback from the industry it seems that the subsidy will be slashed by around 40%. I have compared the current EV incentives in China to the proposed new table. According to the 2019 Chinese EV subsidies, pure electric cars with a range below 200km (125miles) will not qualify for subsidies anymore, and the top band moves from 400km (250 miles) to 500km (313 miles). Other than in 2018 where there was a transition period which allowed for the 2017 subsidies to phase out only by March 2018 the 2019 subsidies will come into effect on the 1st of January, which will result in a run on EV models during December 2018. I will post the full 2019 EV subsidy policy once its made public. China on its way to being the first country to sell over 1,000,000 passenger electric vehicles in one year as EV sales buck the trend showing record sales each month while combustion vehicle sales falter. 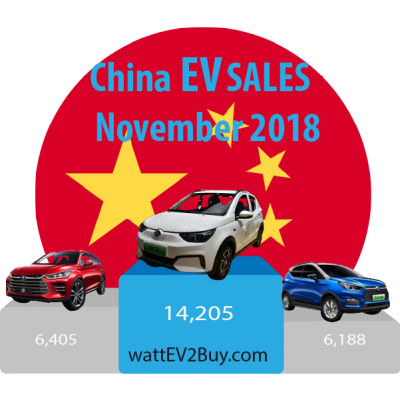 Chinese EV sales for November 2018 broke records again at a time when passenger car sales fell 16.1% year-on-year. The production and sales of electric vehicles for November stood at 173,400 and 169,300 units respectively, an increase of 36.93% and 37.62% over the same period of the previous year. The portion of pure electric vehicles were 135,300 and 138,100, respectively, up 23.58% and 30.30% over the same period of the previous year, while the production and sales of plug-in hybrid vehicles were respectively 38,000 and 31,100 respectively, a year-to-year increase of 121.71% and 82.50%. On an annual basis, the production and sales of electric vehicles in China stood at 1,053,500 and 1,209,800 respectively from January to November, an increase of 63.63% and 68% over 2017. Pure electric vehicles production and sales were 806,600 and 790,900 respectively, up 50.30% and 55.66% over 2017. The production and sales of plug-in hybrid vehicles were 246,600 and 238,800 respectively, up from 2017 by 130.27% and 127.58%. Looking at the passenger vehicle segment, only EV sales for November 2018 stood at 136,000 units, an increase of 10.4% October 2018 and 55.9% on November 2017 bringing the total sales for the year to date to nearly 890,000 units. The Top 3 EV models sold in China is the BAIC EC series, the BYD Tang Plug-in hybrid and the BYD Yuan compact SUV EV. 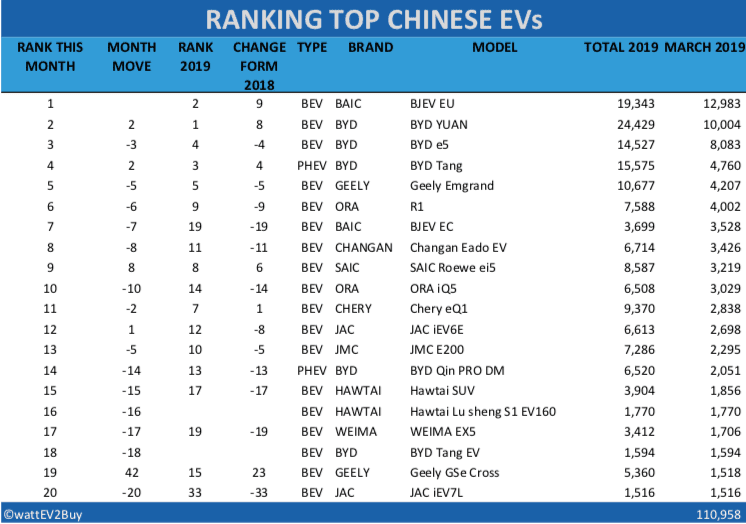 BYD’s other models slipped out of the Top 10 though making way for newcomers such as the YGM E Line A0 class EV which surprised with 4,204 units sold in November 2018. For the full report see the monthly sales report here. Should Passenger EV sales in December be on par to that of November then total sales for 2018 would be higher than 1,000,000 units. It is expected however that December sales could be as high as 200,000 units due to a host of new models that came into the market and the introduction of lower subsidies in 2019. 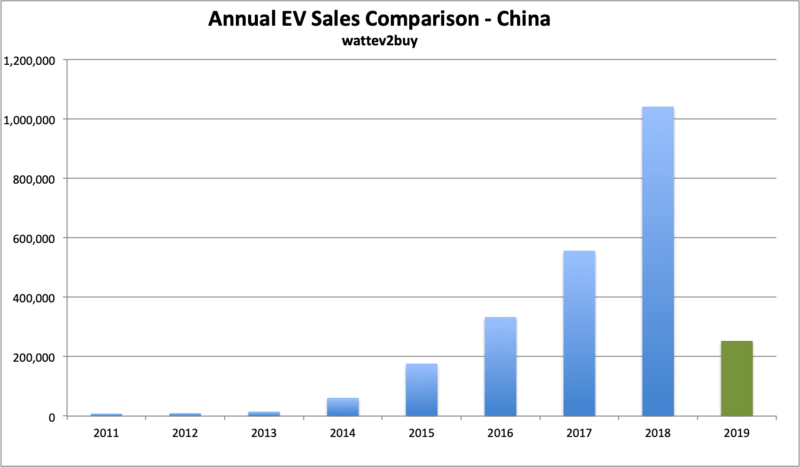 It is, therefore, a foregone conclusion that Chinese EV sales in 2018 will be more than double that of 2017. Automotive News China quoted the Head of China’s National Development and Reform Commission’s Department of Industrial Coordination (NDRC) Nian Yong who indicated that the government is to tighten controls on the auto sector in a bid to curb excess capacity. The Chinese Government is to publish investment rules related to new factory capacity which will tighten industrial investment project management standards, strengthen regulation, and prevent haphazard investment and redundant development according to Mr. Yong. A draft of the NDRC rules were published in July for public comments spooked the auto sector. According to an NDRC official Gu Ziming, some concessions were granted in the final rules after taking into consideration the industry’s feedback. The rules will not only curb new investment in combustion capacity but also pull in the reigns of rampant EV investment. 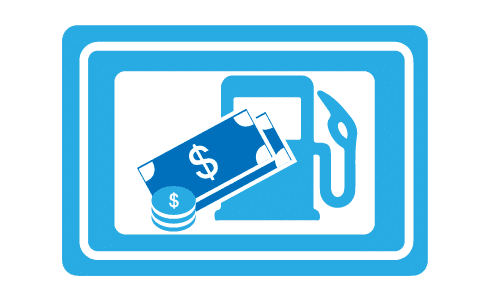 Automakers will now have to comply with certain conditions which will look at their financial viability and EV strategy. BYD released its monthly EV sales this week reporting a record month on the back of sales for its two new models, The compact pure electric Yuan EV360 SUV, and large SUV the Tang plug-in hybrid. The Chinese Ministry of Finance announced this week that New Energy Vehicles (NEVs) would be exempt from Vehicle and Vessel tax. The changes also make provision that the same tax on hybrid vehicles would be halved, this is vehicles using less than 1.6L/100km. 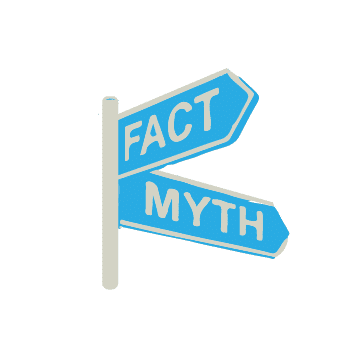 There is a caveat though, only vehicles from producers that comply with quality, range and efficiency standards, safety and battery recycling requirements will qualify. In Week 16/18 I reported that the Chinese Government was considering to use the resort island of Hainan as a test case to ban fossil-fuel vehicles. This week the Chinese Ministry of Industry and Information Technology (MIIT) and the Hainan Provincial Government signed a strategic co-operation agreement that starts the process to ban ICE vehicles on the island by 2030. Hainan had 15,000 EVs and 2,900 charging points by the end of 2017 which it plans to increase tenfold by 2020. The Hainan Government’s EV mobility strategy will include changing its bus fleet to 80% EV by 2019, requiring ride-hailing companies to use EVs and promote bike sharing and time-leasing of cars. In week 29/2018 I reported that the Chinese Government is considering making further changes to its EV incentive policy later this year. In terms of the country’s EV incentives municipalities can add their own incentives on top of that of the Government capped at 50% of the Government incentive. The Beijing municipal authority changes its policy this week to cap EV subsidies at 60% of the total value of the vehicle. In terms of the regulation, manufacturers of passenger vehicles provide the subsidy which they then claim back from the authorities. Other vehicle types only qualify for the subsidy once they reach 20,000 km (12,500 miles). Beijing hoped to promote the sale of 280,000 units by 2024. EV sales in Beijing currently stand at 175,000 units. The Chinese Government reported that total EV registrations as at the end of June 2018 stood just below the 2 million mark. EVs now stands at 0.87% of the total vehicle fleet in the country, up from 0.7% at the end of 2017. Passenger vehicles contribute 81% of all EVs and trucks 12.1% ( 240,000 units) with the balance made up by buses and special purpose vehicles. Above 400km will gain RMB 50,000. Criteria for battery energy density were divided into four levels. and more than160Wh/kg 1.2 times subsidies. Subsidies for plug-in hybrid passenger vehicle will be reduced by RMB 2,000 to RMB 22,000. China, this week lowered tariffs on imported light vehicles from 25% to 15% and parts to 6% from 10% in the escalating trade war started by Donald Trump. The announcement came with a caveat that cars from the USA will attract a 25% penalty after July the 5th 2018 should Donald Trump not cancels its 25% levy on Chinese goods. Importing automakers such as Tesla jumped at the opportunity to be more competitive with the lower tariffs dropping their prices by around 6 percent which would equate to a 710,000 yuan ($107,000) price tag for the entry-level Model S. The reduced price for Tesla EVs is expected to be shortlived. While the international market now slowly wakes up to the growing demand for electric vehicles the leading market, China, identified the blind rush to EVs in that country as a risk. According to Reuters a spokesperson for the state planning agency said that the Chinese Government is ready to take action to stop the overcapacity in EV production. The May batch of approved EVs (batch 307 in the database from our shop) had nearly 2,000 EVs consisting of buses, passenger cars, and commercial vehicles from well over a 100 manufacturers. In 2016 the Government introduced a permit system, only allowing ten automakers to be permitted to produce EVs. The list was increased to 15 in 2017. In 2018 there are more than 20 start-ups busy with the construction of EV plants. The sales data though does not paint a pretty picture so far for the new entrants who battle to sell EVs at the same volume as the established brands. Chinese EV sales are powering ahead, EV sales in May 2018 were the second-best performing month of all time and increasing year on year sales by almost 150%. China remains the catalyst for global EV Sales accounting for around 60% of EV sales in the top 10 markets in May. The Top selling EV brands were BAIC, BYD, and SAIC while the top new model was the WEY P8 and the top new Brand Han Teng with its X87 PHEV and X5 EV SUV’s. If you are interested in my full report on Chinese EV sales for May 2018 please click here. China’s dominance in the EV sector is helping its automakers to gain traction in international markets. This week Geely subsidiary Zhi Dou announced that the South Korean Government ordered 1,000 Zhi Du D2 mini EVs. Zhi Dou is the third official supplier to the South Korean Government after local producer KIA and the GM. Unfortunately, the trade war between the USA and China might put a damper on the Chinese automakers with plans to establish in the USA. Deputy GM of GAC, Li Shao, said to Automotive News China that any increase in tariffs by the US would have an impact on its plans to start selling cars there. GAC has started recruiting dealers to commence operations in 2019. The Chinese Ministry of Industry and Information Technology, together with the State Administration of Taxation, announced in 2017 that it would revoke its approval for some electric cars complying for tax incentives. The ministry had verified the production or import volume of models that were listed in the Catalogue of New Energy Vehicles Exempted from Purchase Tax for Vehicles before January 1, 2017, and disqualified all those with which have not been produced or imported by April 2018. A total of 1,8882 electric buses, passenger cars, and vans met the criteria and lost their tax-exempt status. Although itself can only be seen as a spring cleaning of the list, the ministry also enforced stronger technical guidelines. In December 2017 reports surfaced that the ministry will increase energy density requirements to no less than 115 Wh/kg and reduce the energy consumption threshold to no higher than 2.1kWh/100km down 14% from the 2017 level of 2.4kWh/100km on the plug-in hybrid EVs. JAC iEV6S and iEV5 models, BAIC’s E150EV, EV260, EU300, EU260, EX300, EX260, EV200, EV160 and EU220, and BYD’s Qin, Song DM, and Yuan. The impact of the culling should however not impact drastically on Chinese EV sales as automakers released upgraded models of there most popular EV models in the last quarter. Some models from the picture above that will lose their incentives is the Maxus EG10, Brilliance H230, Kawei W1, Dongnan V5 and V3, ZhiDou D1, Besturn B30 and the Zotye A3 EV and Zotye SR7 EV. Popular models such as the Eado PHEV, GAC GS4EV, Song DM and JAC iEV6EV have undergone improvements to keep their tax-exempt status. New models such as the Kandi K22 and Kandi K27 will also enter the market as the companies build on their exciting ranges. In related news, the Chinese Government announced the lowering of its import duties on international auto imports from to 15% from 25% from July 1, 2018. Import duties on parts will drop to around 6% from 10% as the country responds to Trump’s trade war. Already Tesla announced large price cuts on the back of the news with the sales price in the Model X dropping as much as $15,000. One of the most interesting points in the rules is that battery makers should be encouraged to adopt standardized designs, to help automate the recycling process which could lead to cheaper EVs in the future. Recent reports claimed that the Chinese Government was set to scrap the local component of EV incentives which is aimed at supporting a robust EV sector and spur demand. Policymakers fears that by scrapping the local subsidies to curb state expenditure it will kill the infant EV sector. Local EV incentives is an extra subsidy set at a city level and are capped at 50% of that of the Federal incentives. Earlier the month Shanghai extended its local subsidy to 31 December 2020. In Shanghai, an EV buyer receives the full local portion of the purchase of a pure electric car and 60% on a plug-in hybrid. Bloomberg reported that unconfirmed sources indicated that the latest amendment to the national policy would retain the local incentives. The amended national policy has been changed to favor improved technology and longer range EVs by increasing the subsidy for EVs with a range of over 400km from RMB 44,000 to RMB 50,000 while upping the qualifying threshold from 100km to 150km and favoring more efficient batteries. 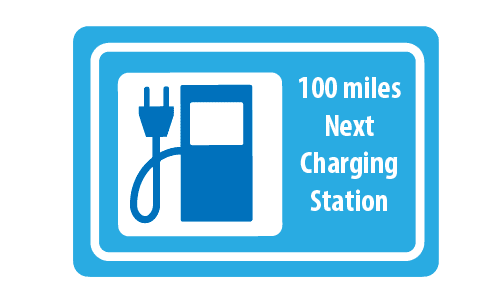 Some sources indicated that FCEVs stand to gain the most by qualifying for 100% local subsidies. Shares of companies selling EVs rose on the report with BYD performing the best rising 5.2% on Monday followed by GAC with 4.3% and BAIC with 1.7%. Following a year of record EV sales where a couple of strong brands such as BAIC, BYD, GAC, and Geely emerged as frontrunners, the Chinese EV sector prepares for the effects of the Governments ZEV mandate requiring new energy vehicles to be 8% of sales from 2019 scaling to 12% in 2020. Some commentators believe that EVs would trigger a long-awaited industry shake-up forcing mergers with stronger brands or liquidation of loss-making brands which have been propped up by easy loans, government incentives and regulations to develop a local auto sector. Automotive News China (ANC) commented this week that effects of a stagnant auto sector coupled with pressure to develop EV technologies on small brands such as Haima, Lifan, Hawtai, SG Automotive and even state-owned companies are forced to alter their business plans. According to ANC Haima sales fell 35% in 2017 while various auto brands are struggling to raise cash in the current environment. Lifan which saw sales decreasing 2% in 2017 canceled a stock issuance on the Shanghai exchange due to investor perceptions. 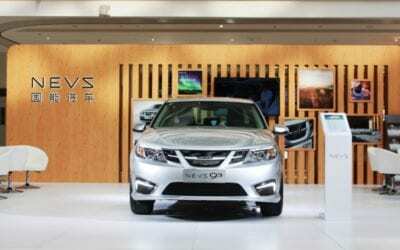 SUV makers Hawtai and SG are in merger talks while state-owned companies FAW, Dongfeng, and Changan which is lagging in the EV race agreed in December 2017 to share EV technology and develop a joint supply chain. The entry of technology companies in the auto sector is further fragmenting the Chinese auto market where funds are flowing to start-ups instead of traditional auto brands. Alibaba and Apple supplier, Foxconn, this week led a further investment round in EV start-up Xiaopeng with a 2.2 billion yuan ($349 million) investment bringing total investments in X-Peng to $800 million. 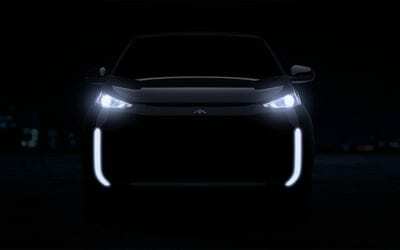 X-Peng plans to bring its connected EV, the G3 Crossover, to market later this year. Haima was contracted to use its spare capacity to assemble the G3, formally know as the X-Peng Identity X, through to 2019. The support by the Chinese Government to be the world leader in EV development is also creating opportunities for local brands with GAC and SAIC already announcing plans to enter the US and European markets with electric passenger and commercial vehicles. Bus makers such as BYD is already supplying electric buses to various Western cities while looking to develop a passenger vehicle assembly plant on Europe’s doorstep in Morrocco. The Chinese Government announced that it would extend the tax rebate for pure electric and plug-in hybrid vehicles set to expire at the end of 2017 to 31 December 2020. In a related move the Government also punished carmakers for not meeting fuel economy targets by suspending production on 553 passenger vehicles from the 1st of January 2018. The Chinese Governments war on pollution is paying dividends already with Beijing recording the lowest air pollution data in 2017 compared to the previous three years. EV sales in China hit a record 82,000 units in November 2017, bringing the annual total to nearly 500k units. Sales for all passenger vehicles dropped marginally during the period while EV sales rose a staggering 24.4% on the previous record set in October. Total sales for EVs for 2017 of 472,000 units now represent 2.13% of total sales for the year compared to 1.32% for the same period in 2016. Aspects of the anticipated 2018 New Energy Vehicle rules for China revealed this week sent some EV related companies shares sliding. Bus and lithium cell companies were hardest hit as subsidies for buses is expected to be impacted the most. From the leaked 2018 NEV subsidy plan the new rules aim to incentives technology advancements to bring longer range EVs to market. The new requirements lift the threshold for energy density and fuel saving level while increasing the range whereby EVs can qualify for subsidies. The rules also put stricter requirements on load capacity consumption (Ekg). The subsidy for buses will come down to RMB 270,000 from RMB 450,000, a decrease of 66.6% while other commercial vehicles will also see their subsidy slashed by around RMB 75,000. It will be interesting to see how foreign companies such as Ford adapt their EV strategies according to the new ruling. Ford this week announced that it would release 15 EVs in China by 2025. Ford who only have one EV in China, the Changan Ford Mondeo Energi with a range of 22 miles, does already not qualify for the current threshold of 32 miles. Bloomberg reported that the Chinese Government is considering the extension of its EV production permitting program which was created to protect the market against an oversupply of EVs. The program allowed for only 15 EV production permits of which JAC was the last to receive in May 2017. The extension of the permitting program is rumored to commence in 2018 and based on recent comments is expected to allow wholly owned subsidiaries of foreign companies to partake. The Chinese Ministry of Industry has started planning a timetable for the banning of fossil fuel vehicles. Though no timetable was provided, Deputy Minister, Xin Guobin was quoted as saying – “Some countries have developed a timetable for the cessation of production and sales of traditional energy vehicles, the Ministry of Industry has also started the relevant research, will also be with the relevant departments to develop our timetable, these initiatives will promote the development of China’s auto industry…” At the end of 2016, China had over 200 million combustion vehicles on its roads, creating an environmental challenge due to pollution caused by vehicles in cities. In related news, China connected a network of 167,000 EV charging stations via the telematics platform of the State Grid Corporation, making it one of the largest charging networks globally. The Renault Nissan Alliance and Dongfeng Motor Group forged a partnership to co-develop electric vehicles in China according to a press release by Nissan. The new JV company is called eGT New Energy Automotive Co and will focus on the core competencies of each to produce EVs for the Chinese market. The first vehicle by eGT will be an A-segment SUV based on the Renault Nissan platform. The vehicle will be an intelligent and interconnected EV, which is the new rage in China. Alibaba and SAIC released the first successful mass-market interconnected car last year, the Roewe eRX5 SUV. “This project is the result of a joint effort to develop electric vehicles for the Chinese market, by the ‘Golden Triangle’ formed by Dongfeng, Renault, and Nissan, with an innovative business model,” said Zhu Yanfeng, Chairman of Dongfeng. “We expect to meet the transformation trend of the market in China; where cars are becoming light, electric, intelligent, interconnected and shared. This is also testimony of a deepened and strengthened strategic cooperation between the three parties.” The new venture is owned 25% each by Renault and Nissan while Dongfeng will hold the remaining 50% and headquartered in the City of Shiyan, Hubei Province. Assembly of the EV will be done at the 120,000 capacity Dongfeng plant in Shiyan and will commence in 2019. Chinese EV sales data showed a 30% rise in EV sales for the year to date over the corresponding period in 2016. 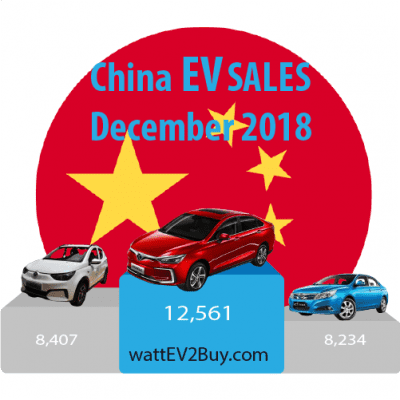 It’s wattEV2buy’s forecast that China will reach its target of 2 million registered EVs by 2020, and even exceed it as more models become available in the next two years. China is already standing more than 800,000 units of which 200,000 has been registered this year alone. It is our belief that the Chinese EV market is set to reach its one million EV milestone by the end of the year, in light of historically stronger second half sales. The Chinese Governments aggressive electric car quotas are forcing international automakers to fast track electric vehicle plans for the country, fearing penalties such as losing their production licenses. The Chinese Government is expected to implement requirements from 2018 which will require auto companies to sell electric cars to generate ZEV credits. Automakers are complaining that the targets are impossible to meet and will disrupt their businesses. Reuters this week reported on a letter seen by it where auto companies wrote to the China’s Ministry of Industry and Information Technology in June 2018 asking for concessions on the planned initiative. The companies requests include asking for a delay of the program by a year, softening of the penalties and an equal playing field between local and international players. China: Chinese EV sales are recovering at a decent pace. EV sales in May showed a continuation of the trend started in March 2017. 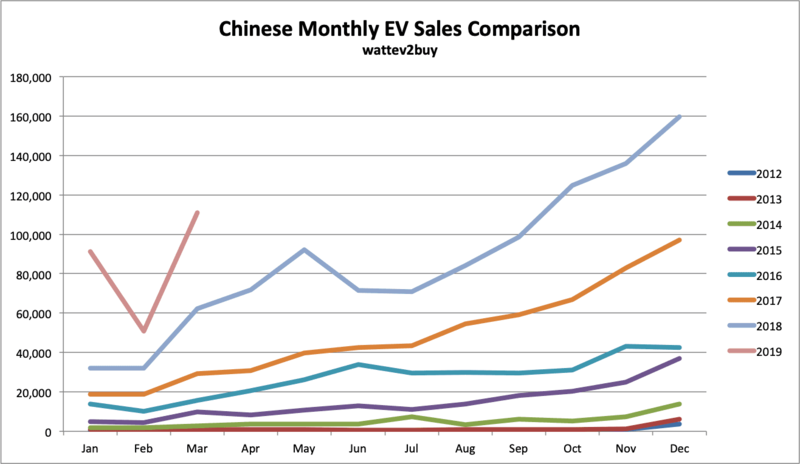 Chinese EV sales are now more than 50% higher than the same period a year ago. May EV sales of over 40,000 units bring the year-to-date sales to 134,000 units. Smaller cars like the Zhidou D2 and BAIC E180 still rules the roost. The new Chery eQ1 has also made the Top 20 list for the month. In Week 22 we reported on concessions agreed between the German Chancellor and Chinese Premier to delay strict ZEV type mandates to allow German automakers some breathing space. This week the Chinese Legislative Affairs Office published draft legislation ignoring the concessions. The proposed legislation will require automakers to sell new energy vehicles equivalent to 8% of total sales in2018, increasing by 2% annually to reach 12% by 2020. Chinese lawmakers and the Calfornia Resource Board met in China last week to expand cooperation on accelerating the deployment of zero-emission vehicles. The delegation also included officials from Chinese vehicle and battery manufacturers such as BYD, BAIC, Great Wall, Geely, Dongfeng, Yangtze Motors and a half dozen other vehicle and battery companies. Bloomberg released an unconfirmed report on Tuesday that the Chinese Government would place a moratorium on the release of EV production certificates as the country tries to manage the sustainability of the sector. Although the report remained unconfirmed at the time of going to press shares of automakers with issued permits rallied on the news. In 2016 the Chinese Government announced that it would limit the number of EVs produced by regulating the sector through the issue of production certificates. The National Development and Reform Commission (NDRC), a body that oversees investments in the centrally managed economy, announced that only ten permits would be issued to produce EVs. At the time a much as 200 companies, including 30 IT companies, had business plans to profit from the government’s program to promote electric vehicles. It was estimated that the anticipated production would far exceed 50 million units per year. The Government further feared that the rush of newcomers to the industry would lead to inferior products harming the sustainability of its strategy to dominate the EV sector. In May 2017 I published an article on the permitting process and the products and strategies of companies with issued production certificates. At the time Shenzhen GreenWheel received the 14th permit, allowing the company to produce 50,000 per annum. Since then a 15th permit, possibly the last for the foreseeable future, was issued to the newly formed JAC/VW joint venture, granting a production certificate of 100,000 per annum. The Chinese Government targets to add 2 million new energy vehicles to the national fleet per annum by 2020. In 2016 the country sold more than 500,000 taking the total of EVs on the country’s roads to over 800,000 units. Should the report hold true, it leaves the question what would happen to the business plans of companies such as LeEco and NextEV with much-publicized intentions to develop electric vehicles. As recent as February this year LeEco was forging ahead with breaking ground on its 200,000 plant in Deqing, Zhejiang Province, a $1.8 billion project. 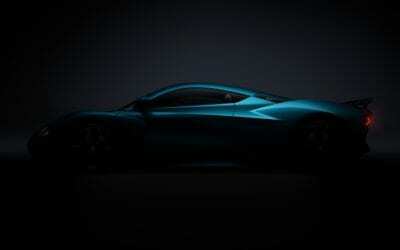 NextEV made big strides in electric and autonomous vehicle technology through its NIO brand, breaking production records and setting the first autonomous lap record in the process with its NIO EP9 sports car. The moratorium could very well be for a short while until the Chinese EV sectors show signs of recovering from its recent slump. The Chinese EV sector which showed double-digit growth until 2016 grew only 7% for the year to date in 2017. If the moratorium is expected to last longer, the incumbents might look at approaching other countries to assist them in developing EV plants. Click for a list of the Chinese automakers with EV production certificates and their models. Chinese Premier, Li Keqiang, and German Chancellor, Angela Merkel met on Thursday to discuss various trade issues between the two countries, amongst others the impact of the China’s ZEV-like quota on German automaker’s expansion plans in the Asian country. The Chinese Government proposed that car manufacturer had to achieve a level of 8% EV sales by 2018. Although not confirmed Reuters on Friday reported that the Chinese Government agreed to delay the quota to 2019 for German companies but that they should ramp up EV deliveries at a later date. The Wall Street Journal reported on the Chinese Electric Vehicle market hitting a road block, with new electric vehicles sales down over 60% for January. China up till now has been the mainstay of the sector with sales increases in 2015 of 300% and 50% on top of that in 2016. The recent clampdown on corruption in the sector which led to a range of new regulations being forced on the Chinese market since December 30, 2016, is seen to be the reason for the sharp slowdown. The Wall Street Journal reported on fines of $150 million imposed on some companies in September 2016. The fines were as a result of subsidy fraud. The Chinese Government also indicated earlier the year that they want to lift barriers to entry and limit the market to around ten manufacturers, down from over 200 currently, in a bid to improve quality and safety of the end product. In a bid to fast-track its electric vehicle strategy in an effort to curb pollution, the Chinese Government has called for comments on a proposal to invite foreign automakers to manufacture in the country. Current laws are designed to protect local manufacturers by forcing foreign companies to partner with the local automakers. The Chinese Government now propose to relax these conditions for new energy vehicles, providing the likes of Tesla an opportunity to produce locally and protecting their technology by not having to share it with a local partner. In related company news, Reuters quoted Nissan CEO, Carlos Ghosn on Thursday announcing that the company has a goal of an $8000 EV for China. The ambitious goal is made possible by the aggressive EV subsidies of the Chinese Government according to Ghosn, speaking at an industry event in Paris. With the 2016 calendar year quickly coming to and end, it seems from various analysis and reports released this week that it would be a bumper year for electric vehicles. CNBC reported that sales of electric vehicles in Europe would top 500,000 units on the road by the end of the year. Citing a report from non-governmental organization Transport & Environment (T&E) Europe, the second largest market for electric vehicles after China will see an addition of well over 200,000 EV’s sold for the year, a significant improvement on the 145,000 sold in 2015. The Guardian reported that the international electric vehicle stock would be more than 2.1M units by the end if 2016, with the Nissan Leaf, Tesla Model S and BYD’s Tang and Qin being the most popular. Although the EV stock is still only around 1% of total vehicles on the road, it’s now growing 10X faster than traditional combustion vehicles despite low oil prices. The Wall Street Journal reported that the Chinese Government fined five vehicle manufacturers for subsidy fraud related to the country’s electric vehicle promotion scheme. The fraud totaled around $150M and the penalties levied involved the company’s to pay back the subsidies and a 50% fine on the fraudulently received subsidies. The Chinese Government started tightening the regulations around the country’s electric vehicle program after recent media reports eluded to the fraud. Four of the companies involved inflated their sales figures while a fifth, Gemsea Bus Manufacturing Co. in Suzhou, entirely fabricated an electric vehicle program and had its auto manufacturing license revoked. On top of the fines, the four remaining companies were taken off the list of manufacturers eligible for subsidies. When reading the announcement, it’s clear that more companies abused the system, but these five were the most blatant. The Chinese Government is considering new targeted incentives for EV production to weed out mediocre products. The incentives will reward true innovation and design. The incentives will go further and require a certain percentage of plug-in electric cars of total production per year from the manufacturers.